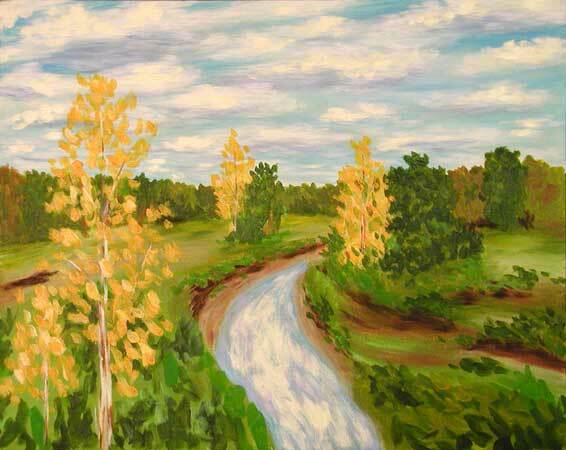 “Distance Memory, Sycamore Creek” contemporary figurative painting. acrylic on canvas. 14 in x 18 in.